For once, I would like to watch a Jack the Ripper documentary, which started off playing the John Williams theme tune for Superman. Well, lets face it, sometimes its good to be presented with something a little different, huh? And do you know what? This sixty minute Jack related documentary made in 2011, does just that. 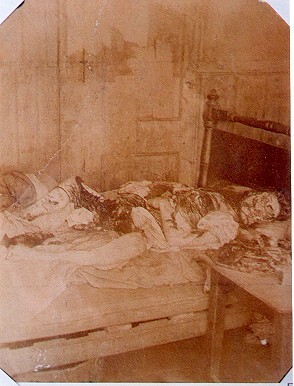 Emma Smith was believed to be one of the first of Jack the Rippers victims –even though she managed to briefly survive her attack and state that she was beaten up by a gang. Martha Tabran was a forty nine year old alcoholic woman whom husband left her due to her drinking habit. Now she tried to curb her sobriety by taking a job at a stately home – but eventually she gave into temptation and the rest is now history. Mary Ann Nichols was a petite and clean woman that was in her thirties. She became estranged from her husband due to an affair he was having – which he denies – and when she moved to Whitechapel, she started drinking in a rather laborious manner and became a prostitute. Annie Chapman was a forty-year-old alcoholic woman from Paddington. She became estranged from her husband when her insobriety impeded her work duties – as they were both domestics in Windsor. And since moving to Whitechapel, her drinking got so bad, that she started selling herself for drink. Elizabeth Stride is of Swedish decent. She once worked with her husband running a coffee shop in London until they parted ways for reasons unknown. She was well educated, cultured, and had a drinking problem too. The men whom these women were spotted with prior to their deaths, were all slightly differentiating in nature. In each death, the varying degree of savagery deployed was somewhat bi-polar in disposition and execution. Even though the police presence increased in incremental stages by each killing, these women still went out and wanted a drink. Witness statements about these women’s life and times were not always accurate. The lo-cals that these women were found in were sometimes heavily pedestrianised – even at the early hour of the morning. What is new? For a start, I did like the CGI re-construction – as it gives us – the viewer – a visual impression to what Whitechapel was like back in the day. Now for those of you whom have frequented Whitechapel within recent years, you can tell that it has been tampered about with since 1888. This CGI way, we get to see what Jack and his victims once saw – even though it is slightly more flat and polished in that way graphics can behave on screen – as if it was a video game or something. What about the facts? 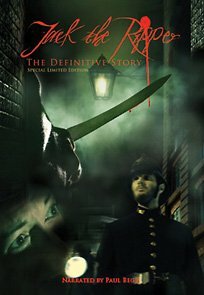 Unlike some of the other Jack the Ripper documentaries that I have seen in the past, this one centres primarily on the lives of the victims, the lead up to their deaths, and the proceeding aftermath. Personally speaking, I like this about ‘Jack the Ripper – the Definitive Story’, as it gives us a more personal take on whom these people are, what they were all about, and the hardships that they went through. Also, I like how whomever cast these re-enactments, tried to get an actress that looked like the victim – which was nice. Is it any good? As a documentary goes, this one is up there with the best of them. Granted, sometimes the transposition of the real-life actors on a virtual background can be kind of distracting – but not by much. Moreover, some of the facts that have been on show so far are those of the Wikipedia-variety – and not always as in-depth as I would have liked. Still, this is only part one of a two part tale, so maybe I am jumping the gun so to speak. So what is the story so far? So far, this documentary has told from two of the non-conical five (Emma Smith and Martha Tabran) right up to the first of the double event (Elizabeth Stride), whilst at the same time injecting a bit of background facts here and there – Lipsky – Abberline – bloody Sunday – et al. And do you know what? I can’t wait to see the next part... to be continued.